Just in time! 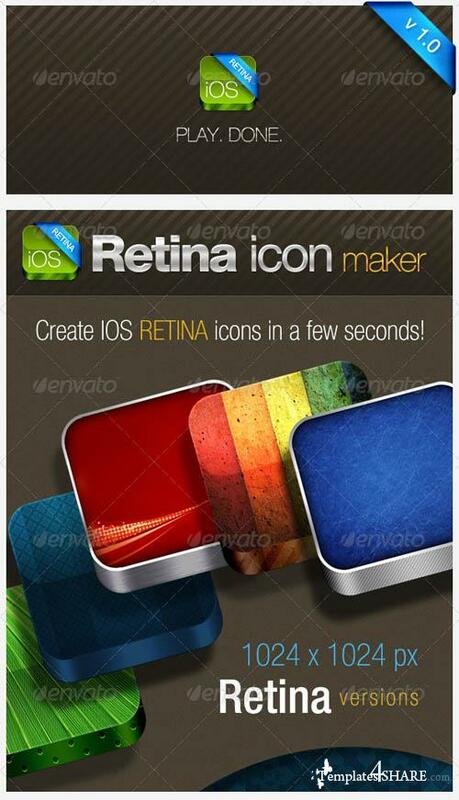 Now you can make your own iOS RETINA Icons with this Retina Icon Maker pack. Create iOS Retina icons in a few seconds. Easy to customize all layer effects after play the actions. Exclusive styles for any use. Exclusive patterns for any other applications. More than 50 ready to use background color styles for your icons.